MaxiTrans sales are taking a hit. 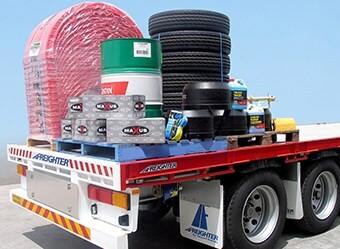 Road transport equipment supplier MaxiTrans is foreshadowing a significant revenue drop for the current financial year, predicting a net profit less than half of the $16.5 million to $17.5 million predicted this time last year. In a statement to its investors from managing director Michael Brockhoff, the company believes net profit after tax is likely to be between $5.9 million to $6.9 million due to continued soft economic conditions. "Continued drought conditions in Queensland together with the substantial decline in resources activity and a lack of infrastructure activity continues to have a significant detrimental impact on demand for tipper products," Brockhoff says. "These widespread soft conditions have led to heavy price discounting across all of our brands to win orders, which together with cost pressures resulting from the weakening Australian dollar, is placing significant pressure on margins." 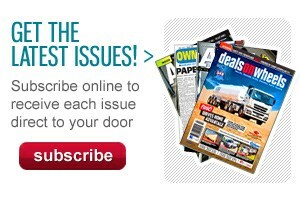 The dip from 2014 and additional costs associated with the $850,000 product recall in the first half of 2015 has also impacted the supplier’s parts business in recent times, forcing the closure of three Queensland stores. While the company forecasts a tough period, it says it there are positives. "Amidst challenging market conditions, it is pleasing to advise that MXI has recently secured a number of large orders for MaxiCube vans and has experienced improved Freighter trailer orders sufficient to ensure the business will finish the year with a robust order book," Brockoff says. "There are a number of exciting new growth initiatives that are about to be launched that should improve the future performance of the business." MaxiTrans released its figures for the first half of the financial year in February, with the company earning a net profit of $5.3 million over the first six months. While the net profits dropped by 51 per cent on last year, the revenue only fell five per cent from $181 million to $172 million. China and New Zealand were the silver linings in the February report but the story is different looking forward. In China, deterioration in local sales has forced the company to focus on an export model. In New Zealand, MaxiTrans has seen market growth, however a changing product mix has reduced sales revenue and will impact the numbers throughout the second half of 2015. 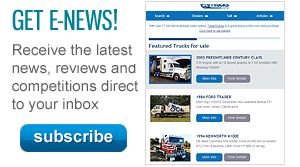 MaxiTrans will review the carrying value of all assets by June 30.